Here's how to beat O'Rin of the Water in Sekiro: Shadows Die Twice. They might be small in size, but O'Rin of the Water can definitely put up a tough fight in Shadows Die Twice. In this Sekiro O'Rin boss guide, we'll be walking you through how to defeat O'Rin of the Water as quickly as possible. Firstly, we'll be giving you some key tips on how to beat O'Rin of the Water. This boss fight can be tough, but not if you do one special trick. Before you run into the arena, use the Divine Confetti. You can now strike O'Rin with your basic sword attacks. There's nothing wrong with deflecting O'Rin's chain attacks, and then going on the offensive. The arena with O'Rin of the Water is just a short distance from the Water Mill Sculptor's Idol. 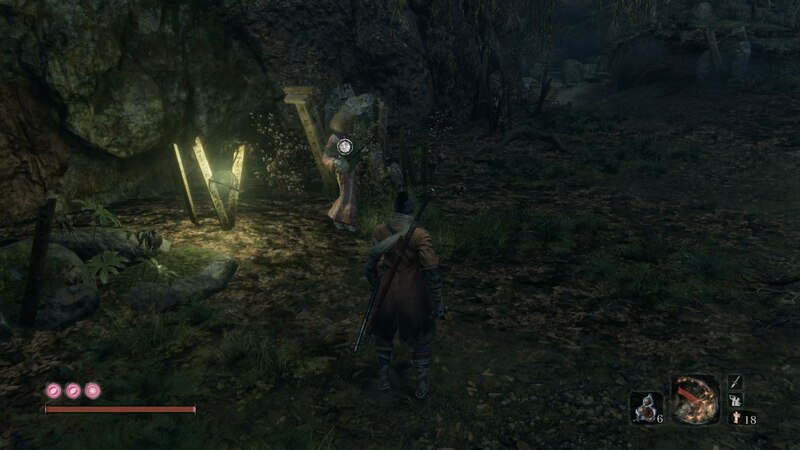 This is basically the outskirts of Mibu Village, which itself is right at the very end of the prolonged Ashina Depths section of Sekiro. 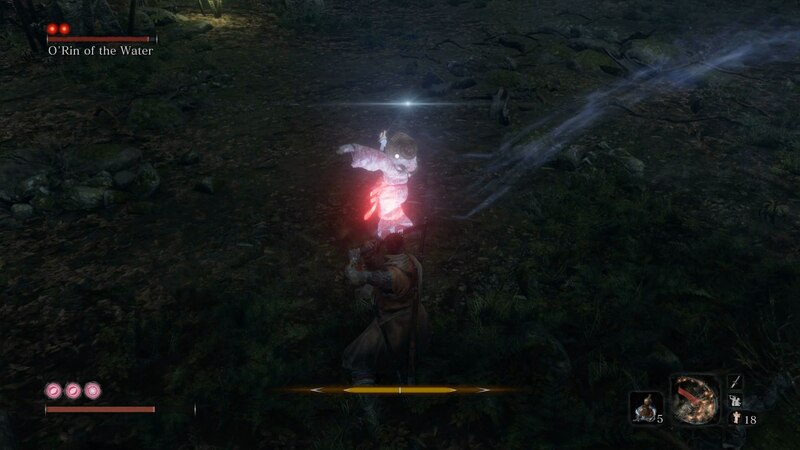 When you first enter the arena with O'Rin, instead of talking to her to initiate the fight, get in a few solid hits against her. 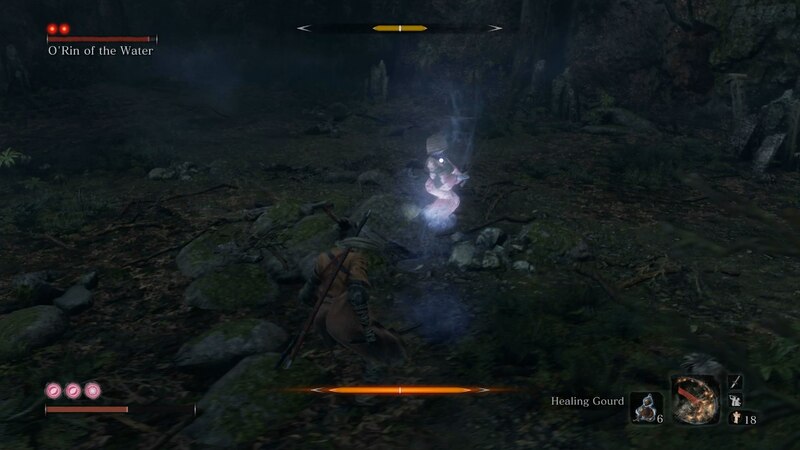 This kicks off the boss fight in the relatively small arena and, as you might have guessed from O'Rin's sudden transformation into a ghostly apparition, she doesn't take health damage, at least not through conventional attacks. If you've got any Divine Confetti, use it before the fight. This way you can harm O'Rin after she's transformed into her ghostly apparitional self. Alternatively, if you don't have any Divine Confetti, then this is a battle of attrition to your Posture meters. O'Rin attacks in rapid movements, and a sign that she's about to let loose with a string of attacks is when she temporarily pause while airborne, before honing in on you. You're going to have to block upwards of five attacks in a row whenever she rushes towards you, so be prepared to tap the deflect button repeatedly. While deflecting attacks is a solid method of damaging O'Rin's Posture meter, your main method comes after. At the end of a chain attack, she'll execute a red kanji attack. When she does this you want to jump into the air, and try and land on her, a move that'll deal significant Posture damage to her. Repeat this entire process. Whenever you need a moment to recuperate, let loose a Firecracker Prosthetic and heal up. The second phase of the boss fight against O'Rin of the Water is nearly identical to the first. 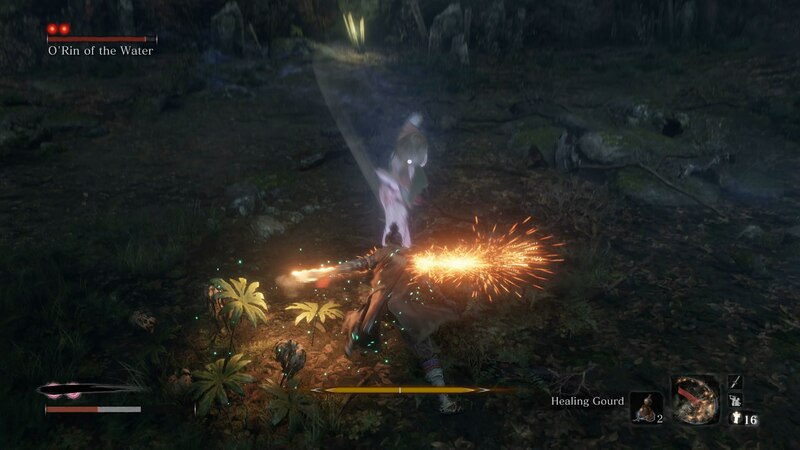 You're still going to be dealing out Posture damage by deflections and jumping attacks, but O'Rin can change together more attacks in this second phase. While O'Rin is down on the ground and recovering from the Deathblow at the end of the first phase, you might want to pop another Gokan's Sugar. Alternatively, you could always use some Ungo's Sugar to reduce vitality damage, because if any attacks get through from O'Rin, they're going to cause some serious damage. At the conclusion of the fight, you're going to be rewarded with a Prayer Bead for your efforts. You'll also be granted the Breath of Life: Shadow ability if you haven't unlocked it already, which restores some vitality for every Deathblow move you inflict. There's a really special, but truly awful trick you can do for this fight. Once you've committed to the fight with O'Rin, retreat back towards the previous Sculptor's Idol. Near here, once O'Rin reaches a certain distance from where the battle began, she'll stop attacking, and retreat back towards where she started. Since she doesn't attack you here, you can lay into her as much as you want.